I am in love with tile. stone, porcelain, mosaics, large format, tiny 1/2 x1/2 bitsy pieces….all of it. Really not sure how you can design a bath well without having a love affair with tile of some sort since it is usually an integral player in bath design. I enjoy coming up with tile layouts and unusual ways to use awesome pieces. I think the key to good tile design is thinking through all the transitions ..and there are many….and knowing the product well enough to know if there are trim pieces available or schluter or other metal trim that will work on corners of ledges, thresholds and any other area where the vertical surface meets the horizontal. With stone, this is easy as any competent tile setter can bullnose the stone to work with almost any transition. But the key element is just simply thinking creatively! I get inspired by all sorts of odd things and much of it can then be related back to how I might incoporate tile in a design. At our studio, we sometimes just take a break and start putting together pieces and parts to get a great look..then later find a client for it!! 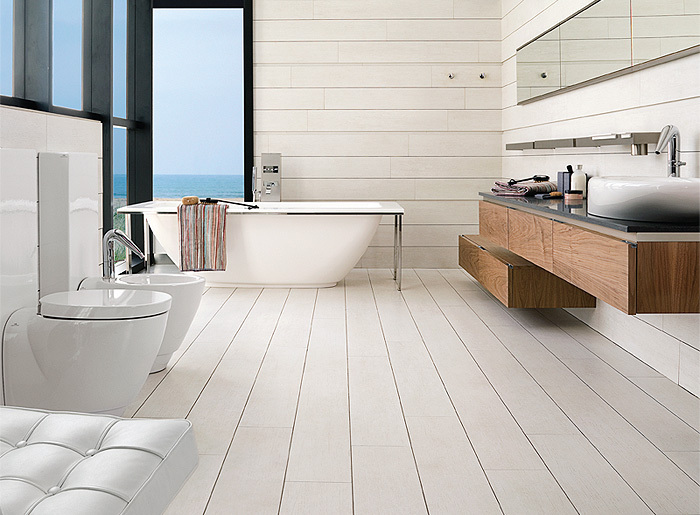 Here are some of my favorites continued from Porcelanosa Tile. I also really like Artistic Tile. We specify this line often and often use the same tile in a multitude of different projects with a different look each time. You have to love any company who has great advertising! Thanks Artistic for the eye candy. Unusual mix of marble, travertine and black granite...love the size of the sticks! Walker Zanger is another favorite. 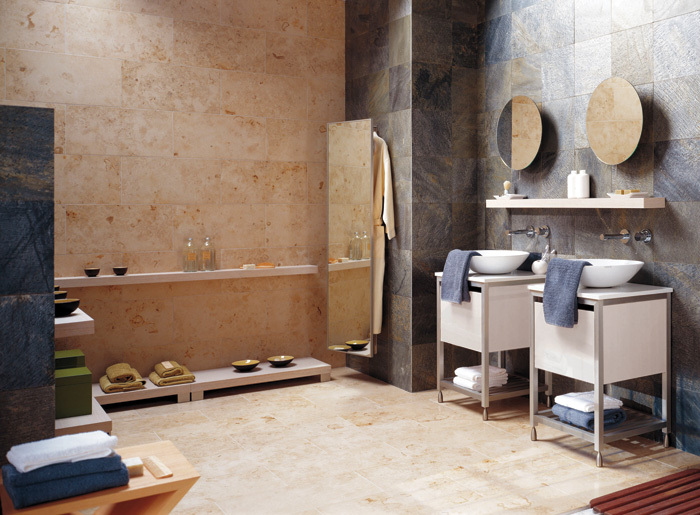 You can mix and match tile from various manufacturers and create your own line! I say there are infinite possibilities with tile and should be a designers dream! But, just go easy on the honed and filled beige travertine and the 4×4 tumbled marbles…they are so over used that I cringe every time I see it. 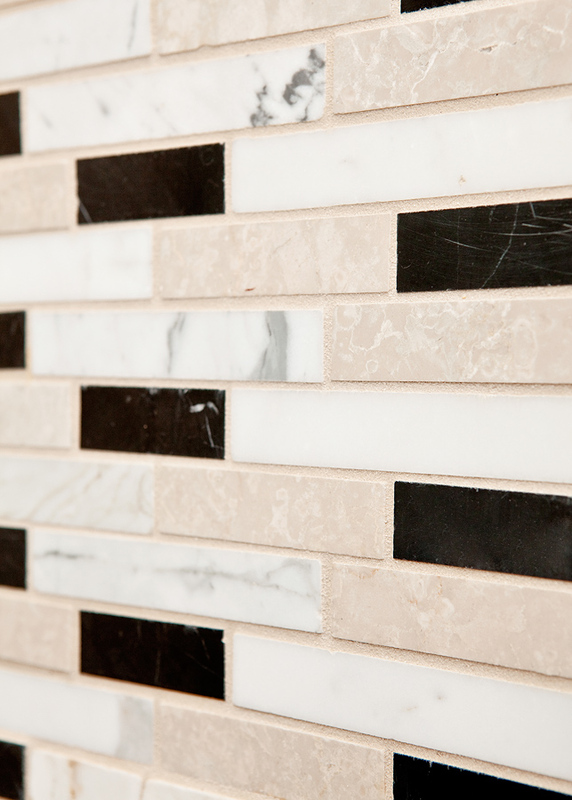 Let me know what are some of your favorite tile lines! Set it up! I really LOVE tile and we do lots of mosaics etc….tile is so important to my work…would love to meet her when down in Orlando but in the meantime have her send me info! 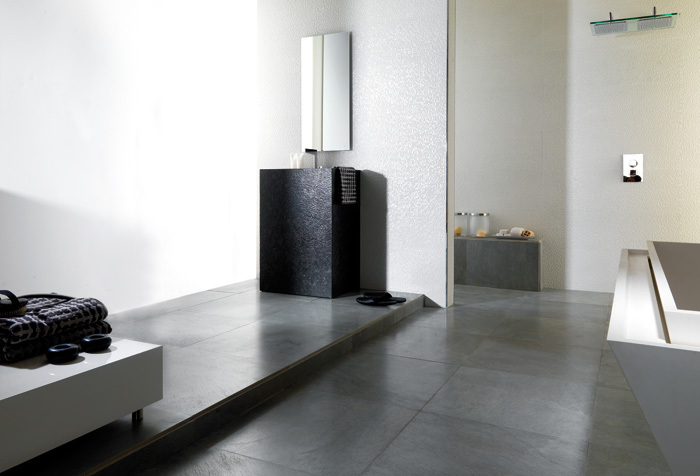 My email is on here somewhere I think…..
It’s amazing how tile can influence a room! I love those wood-look tiles. They are unbelievably realistic. oh, let me tell you…they are incredible! When you see them down you will never believe they are tile! 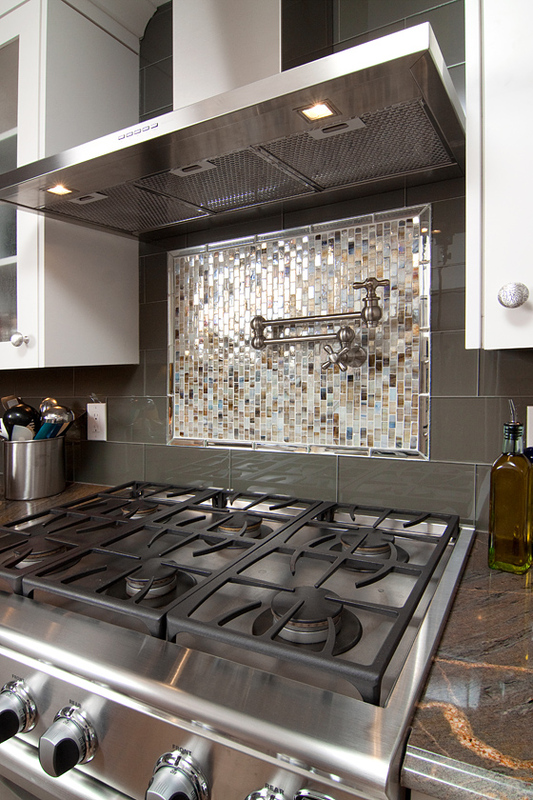 And the grout lines are non existent…very flat and smooth…but they have many many styles as well! They are my current and latest love! 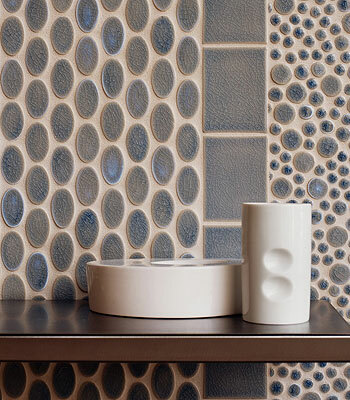 My favorite tile line – DuQuella Tile. Exquisite detail, amazing craftmanship. 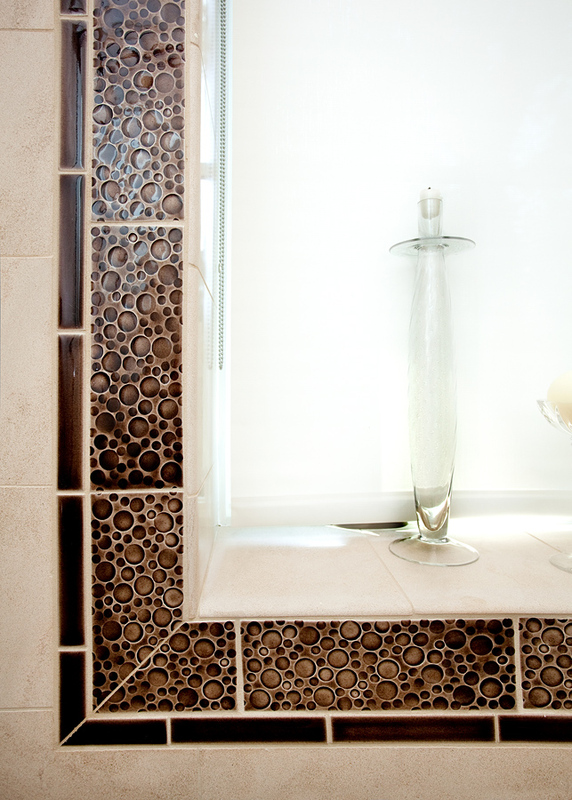 We needed tile in an odd size and spcific colors…..and what we got from them was PERFECT! Ok, it just keeps getting better! Thanks for the eye candy too! I always appreciate that. I see I am already on your blog list. Will your good taste ever end 🙂 ?!! Noe I’m going to read about tubs vs. showers. Thanks Paula Grace! Yes, I found your blog first!